23 November 2018 - 3 February 2019. Curator: Jesús Fuenmayor. Pedagogical Curator: Félix Suazo. With an Inca and Cañarí background, and visible traces of its Spanish colonial past, the modern-day city of Cuenca was shaped during the republican period within privileged natural surroundings. 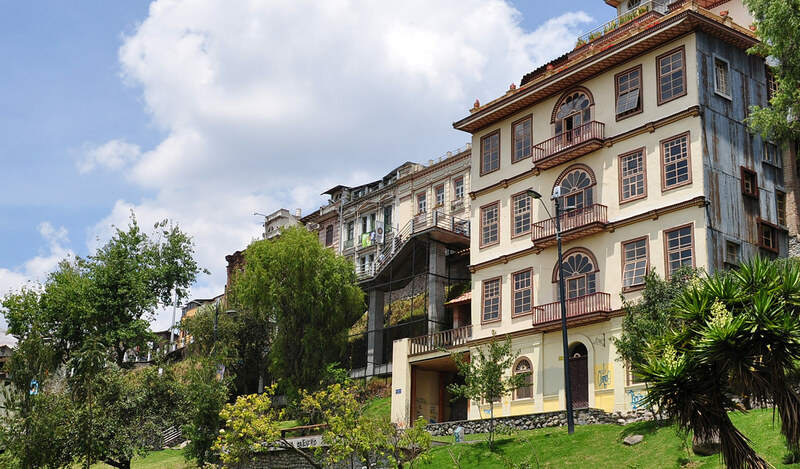 Encircled by four rivers, Cuenca is nestled in the sierra of the Andes and listed as UNESCO World Heritage since 1999. 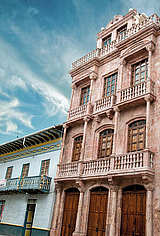 Since 1987, the city has hosted the Bienal Internacional de Cuenca, one of the most traditional and consolidated periodic exhibitions of international stature in Latin America. 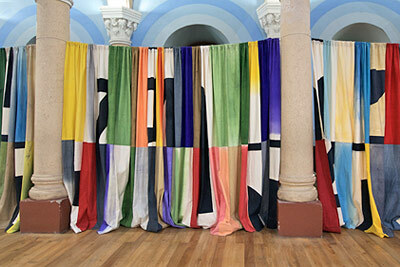 Organized by the Fundación Municipal Bienal de Cuenca, a municipal non-profit arts institution, currently presided by Cristóbal Zapata, the Bienal has been at the forefront in the promotion and mediation of contemporary art in the region. Initially conceived as solely dedicated to painting, the Bienal has made progressive steps toward admitting other disciplines, manifestations and media, assuming the challenge that the present imposes on expository programs of this type. Founded in 1987, in its first editions the Bienal followed the system of so-called national representations, officially inviting countries to select and submit works by one or more representatives. 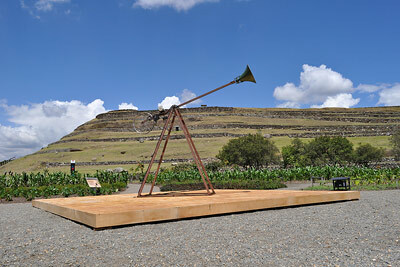 The Ecuadorian artists were selected in a pre-biennial salon composed by a specialized jury. With minor changes this format has been adopted until the 10th edition, in 2009, which still followed the national representation model, but introduced for the first time the role of a general curator, namely José Noceda (Cuba). In the 11th edition, a group of curators was appointed and each organized a separate exhibition, directly inviting all participating artists: Agnaldo Farias (Brazil), Fernando Castro Flores (Spain) and Katya Cazar (Ecuador). 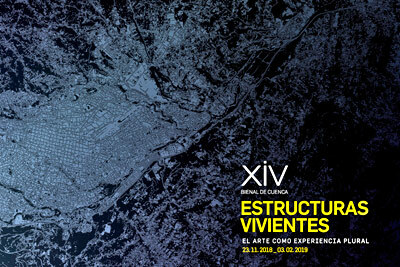 Building on the achievements of the previous editions, the Biennial of Cuenca 2014, presented a curatorial project under the aegis of chief-curator Jacopo Crivelli Visconti and adjunct curator Manuela Moscoso. In 2016, the 13th edition of the Cuenca Biennial is curated by Dan Cameron, proposing as thematic concept,Impermanencia - Mutable Art in a Materialist Society.